31 Quilt Designs has a little bit of everything: 31 quilt block patterns, complete cutting charts, a color chart, quilt tips and printable quilting designs to boot. If that weren’t enough there are juicy tidbits stashed on every page that are sure to tickle your fancy in some way or another. This exciting 16 page ebook is classic! Quilting is a timeless art and every now and again we should revisit the classics. As you dive into this book, you will find a wealth of information. 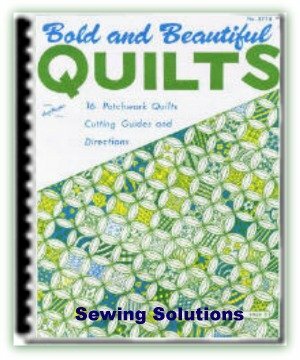 The first few pages are all about the basics of quilting. Not a step is left out from creation to finish. 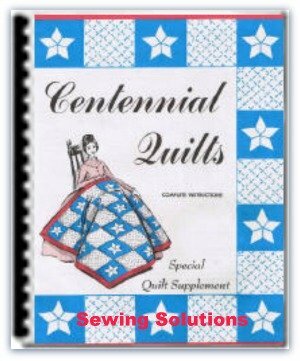 Excellent advice is given about tracing and cutting the quilt patterns, applique, setting the blocks and even a little information is given about quilting frames. 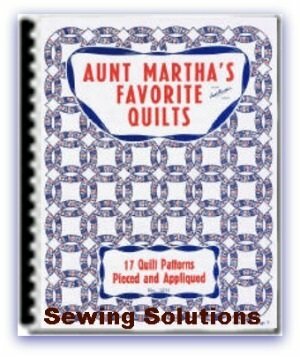 Progressing through the book you will find color pages filled with quilt designs. The designs are divided into six categories: colonial patchwork patterns, perennial favorites, ranch style rooms, dainty desirables for miss teen-age, variations of heirloom designs, and prize winning designs. 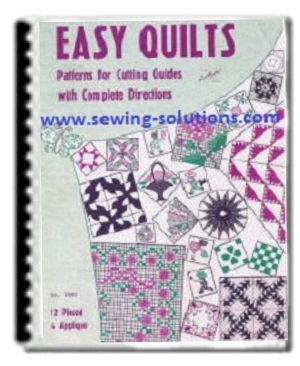 Instructions and patterns are included for all of the quilt block patterns. 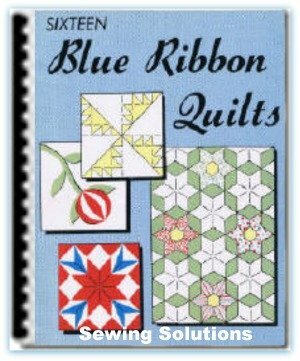 The first category of quilt block patterns include , colonial patchwork patterns, includes five designs. The five colonial patterns comprise of one 9 inch block, three 18 inch blocks and one 24 inch block. The designs themselves certainly have an early American look to them which no doubt would change depending on your use of fabric. Designs include: Colonial Bouquet, Colonial Lady, Dresden Plate, Georgetown Circle, and a Fan Patchwork. Perennial Favorites is the next section of quilt block patterns and include pattens for the beginner and experienced quilter. For the discriminating quilter you have the Dutch Rose, a design brought to the US by early Dutch settlers. 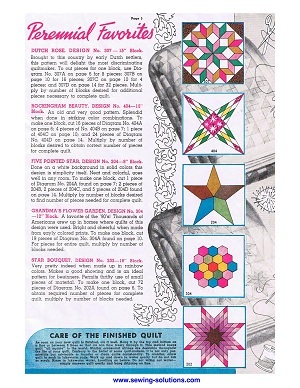 Also listed are instructions and color photos for Rockingham Beauty, a 15 inch block star design, a 9 inch Five Pointed Star, a 12 inch Grandma’s Flower Garden, and for the beginner an 18 inch Star Bouquet. Picturesque Patterns for the Ranch Style Room would be more in line with our “lodge look” nowadays. A variety of block sizes that include designs such as; Rocky Road to California, Garden Patch, Indian Hatchet, Turkey Tracks, and the Arkansas Traveler. Color scheme plays a big part in these quilt designs. An interesting section that you might find dated at first, is the girl quilts Dainty Desirable Designs for Miss Teen-age girl quilt. Skimming through this section of quilt block patterns you will find beautiful gift ideas for any female, young or older. Designs include; Rose Bud Wreath, Buttercup, Twinkling Stars, Orange Peel, and a Double Wedding Ring. There are more surprises in Heirloom Designs where 7 variations of classic patterns can be found. 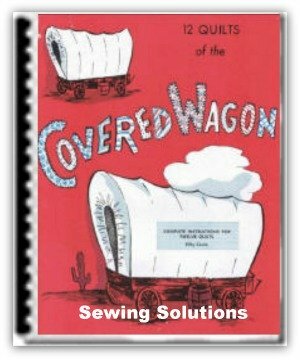 Some are very detailed, perfect for shows while others are better for the beginner quilter. Among the seven are Grandmother’s Tulip, Triangle Puzzle, Lotus Star, Palm Leaf, Sunflower, Dove in the Window, and Four Points. The final category of Prize Winning Designs include great exhibition pieces such as the full size Lone Star quilt design, the Rolling Stone, Eccentric Star, and Mystic Maze quilt designs. Stunning and beautiful these quilt block patterns are perfect for shows. Another tasty morsel about this little book is that most descriptions give a little history about the quilt design too. So much fun and information packed into these 16 wonderful pages. Don’t miss out! 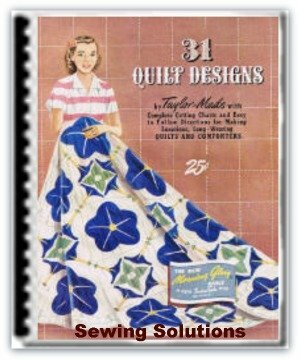 31 Quilt Designs by Taylor Made: With complete cutting charts and easy to follow directions. NOTE: You will not receive a hard copy in the mail. These magazines are all in and easy pdf zip file and you can be easily download and open with the free program Adobe. You get immediate access to your patterns.